McAree Brothers are now on Pinterest! To celebrate this we are running an exciting Pin to Win Competition. We want to know what inspires you when you are knitting and crocheting. We have a lovely prize of 5 the beautiful Brittany knitting needles or crochet hooks up for grabs. 1. Create a new board on Pinterest and call it "McA Inspiration". 2. Pin items from our website that have captured your imagination, along with any other images that inspire your work. These images do not have to be knitting and crochet related - feel free to express yourself! 3. 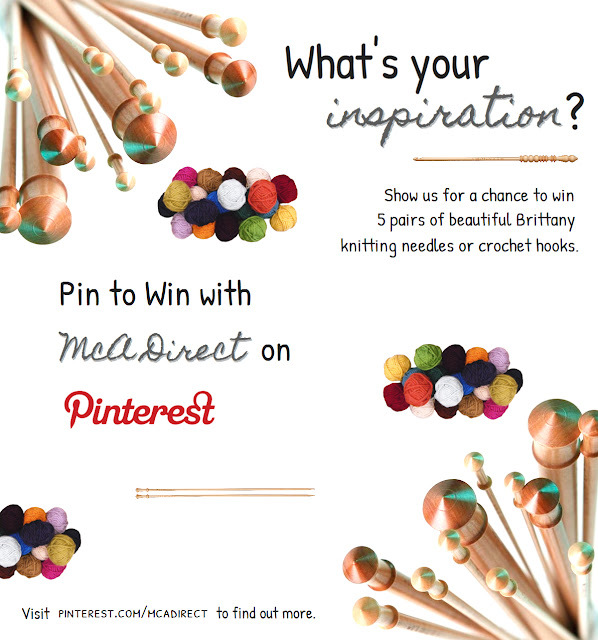 Comment on our Pinterest Competition Pin with a link to your board. If you get stuck, take a look at our example board. If you get really stuck, you can get in touch with us via email. The McA Direct Team will choose their favourite board as the winner, so be creative! The competition closes at midnight on Friday, 31st May, 2013.